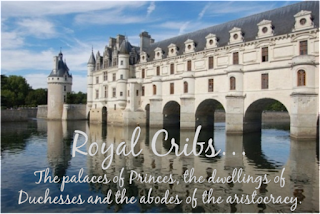 Come one, come all to my new blog...Royal Cribs: The palaces of Princes, the dwellings of Duchesses and the abodes of aristocracy. My earlier post on the Homes of Marie Antoinette was a lot of fun, so I decided to create a blog where I can share my love of castles, palaces and chateaus! loved your new place. Can't wait to visit another castle! I've already bookmarked it!! I'm very passionate about chateaux, castles, etc so I'll be following closely! Yay!!! I'm going to check out the new crib.